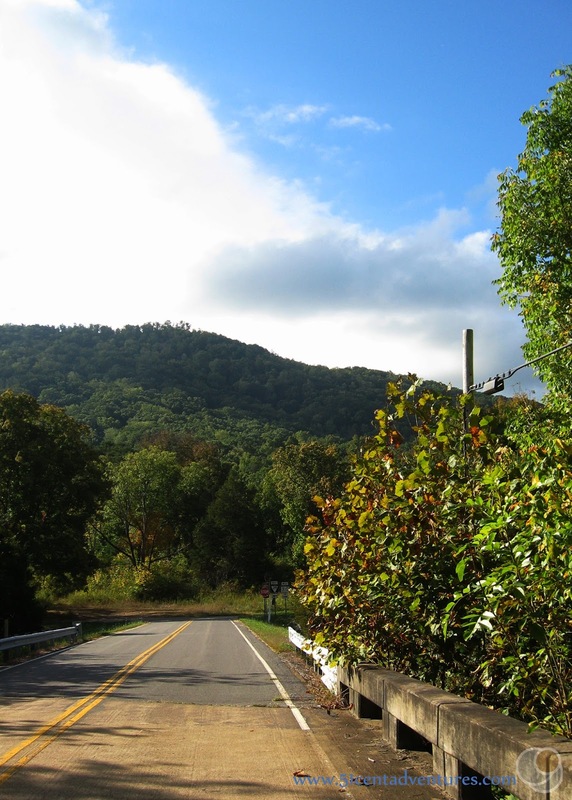 The Cherohala Skyway is a National Scenic Byway. The skyway is about 40 miles long, and rises to a height of 5390 feet above sea level. 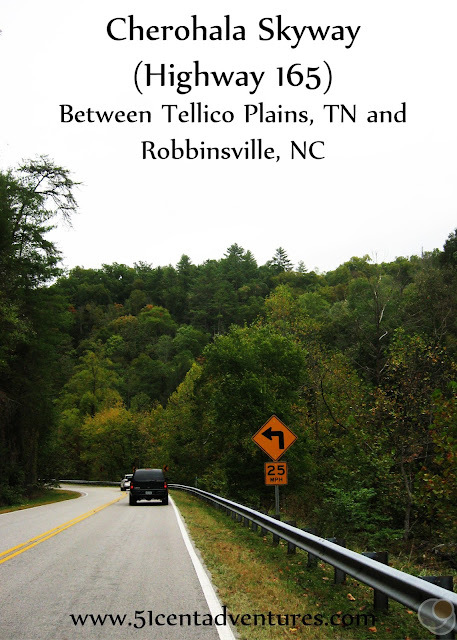 It connects the town of Tellico Plains in Tennessee, with Robbinsville in North Carolina. 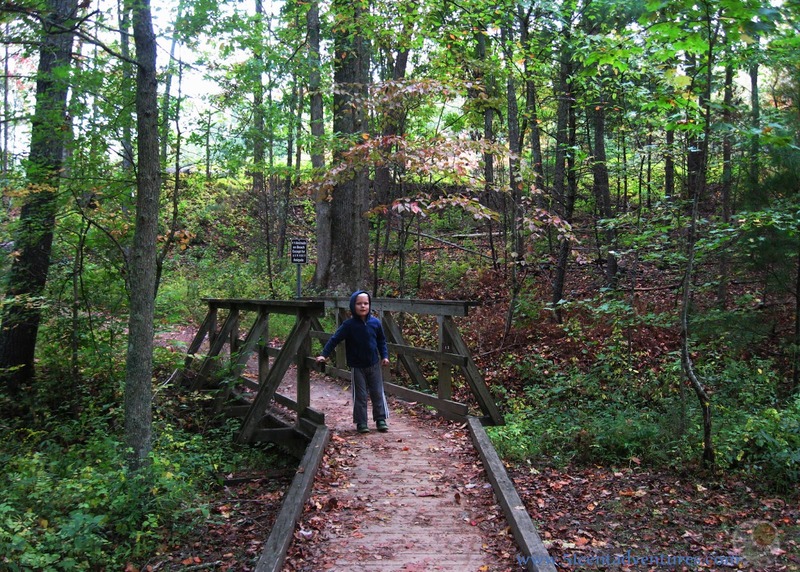 There are many overlooks, picnic spots, and rest rooms along the route. It's a great way to see the Appalachian Mountains. Operating Seasons and Hours: The Skyway is open all year, though ice and snow can be present during the winter months. The Visitor Center is open from 9:00 am to 5:00 pm every day. This was the first stop of the second day of our Fall Break Trip to Tennessee and Kentucky in October of 2016. 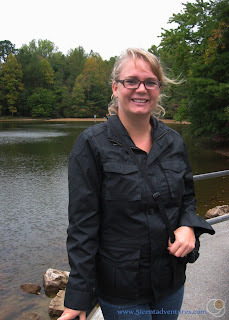 We'd driven up from Alabama the day before, and stayed the night at a motel in Chattanooga, Tennessee. My family had three main goals for our road trip through Tennessee and Kentucky. 1. We wanted to get out of Alabama for a little bit. 2. We wanted to see fall leaves. 3. We wanted to see the Appilachian Mountains. 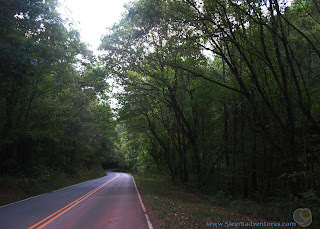 The Cherohala Skyway seemed like it would help us achieve each of those goals. The last time any of us saw real mountains was last August when the kids and I went on that crazy almost-cross country road trip from Utah to North Carolina. 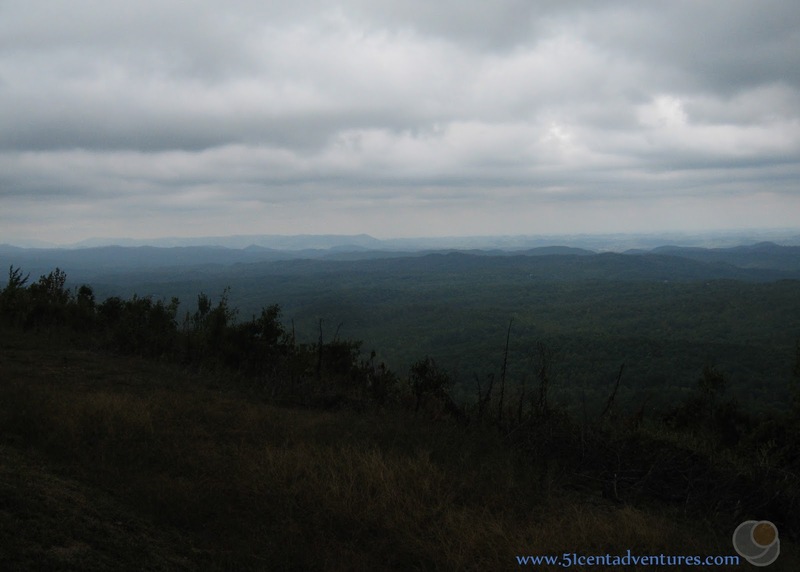 We'd driven through a section of the Appalachian mountains on the third day of the trip. Since it was the third day we didn't really care what we were looking at we all just wanted out of the car. We were also coming from Utah so mountains weren't that impressive. This time though, I was excited to see the Appalachians and really spend some time in them. My husband was the most excited of all. He hasn't seen mountains in almost 3 years. Well - the mountains in Korea might count, but he didn't drive through any of those. So really I guess I should say he hasn't driven through mountains in almost 3 years. He was also looking forward to seeing Fall colors on the leaves on the trees. Fall in the deep south is a little blah. In Texas the trees wouldn't lose their leaves until December, and we'd finally get around to raking them up in February. And I don't even remember seeing colorful leaves falling last fall in Alabama. Most of the leafy trees around here are Magnolias or Live Oaks. Magnolia leaves just turn boring brown before they fall, and Live Oaks don't lose their leaves until the spring. So we all were excited about the fact that we might actually see some pretty yellows and reds. At first we could see large hills. My twins were so excited and kept saying, "Look at that MOUNTAIN!" My husband and I tried to explain that they were just hills. Which was kind of confusing because they were just as tall as Lookout "Mountain." We came to the beginning of the Skyway at Tellico Plains. We could have stopped at the Visitor Center, but we were excited to drive into the mountains. (In hindsight we might have apprciated a detailed map of the area, but we did just fine without one.) The road started out at the bottom of the mountains in a large canyon. It was so pretty to see trees lining the road. 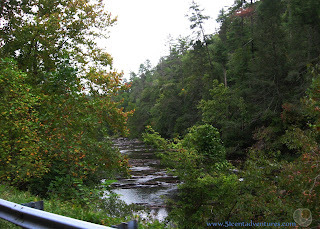 The wide mouth of the Tellico River was next to the road. As we drove, the road gradually started to switch back along the mountain. For the most part the leaves on the trees were still green. But there were some yellow and red leaves scattered in. Every so often the wind would blow and leaves would fall down. It was beautiful. I didn't realize how much I missed that. 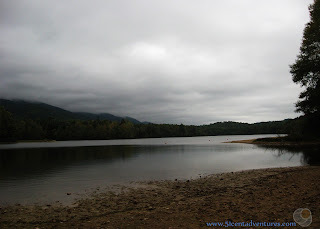 After driving for about 15 miles we decided to stop for a lunch break at the Indian Bountary Lake. 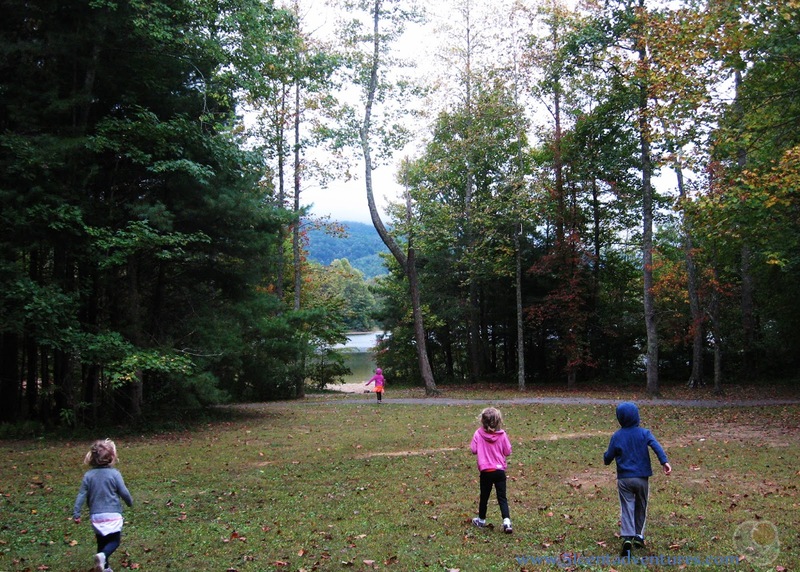 This recreation area has a day use area as well as 100 campsites. The lake was very pretty. The clouds were low and covered part of the mountain. 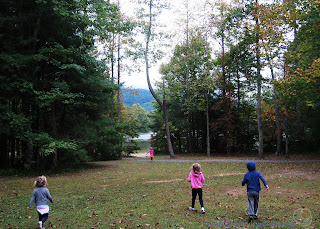 The kids were impressed by how tall the mountain was. 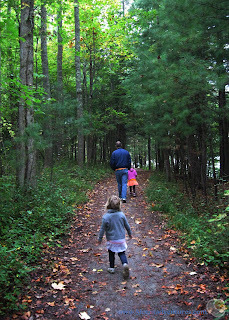 We had a lot of fun going on a short hike through the forest. We walked for about a 1/4 mile. The full trail runs 3.1 miles around the lake. Again, it was so cool to see colorful leaves on the ground. I didn't realize how much I've missed fall. I've also missed my bad a-- jacket that I bought last winter. I was pretty happy to be somewhere it was cool enough to wear that again. 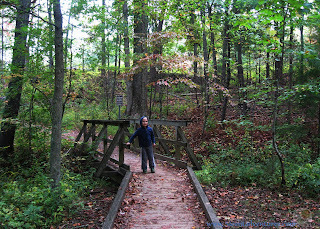 My son was excited about the small bridges that were built on the trail. The lake also has a swimming beach with a sandy shore. There is a large parking lot located up the hill from the beach. I'm sure this place is a great get away in the hot summer months. This overlook has several parking places, a vault toilet, and some picnic benches. I was hoping that we'd be able to see some amazing views from the highest points on the Skyway. However, after only a few more miles we reached the cloud layer. 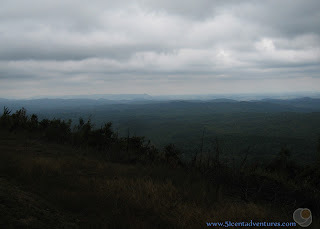 By the time we reached the Santeetial Overlook at 5390 feet, we were deep into the clouds. We could see maybe 20 feet ahead of our car. Seeing anything from the high overlooks would be impossible. The cloud layer lasted for about 5 miles. We had to travel slow to safely navigate the curves in the road. By the time we came out of the clouds it was early afternoon. 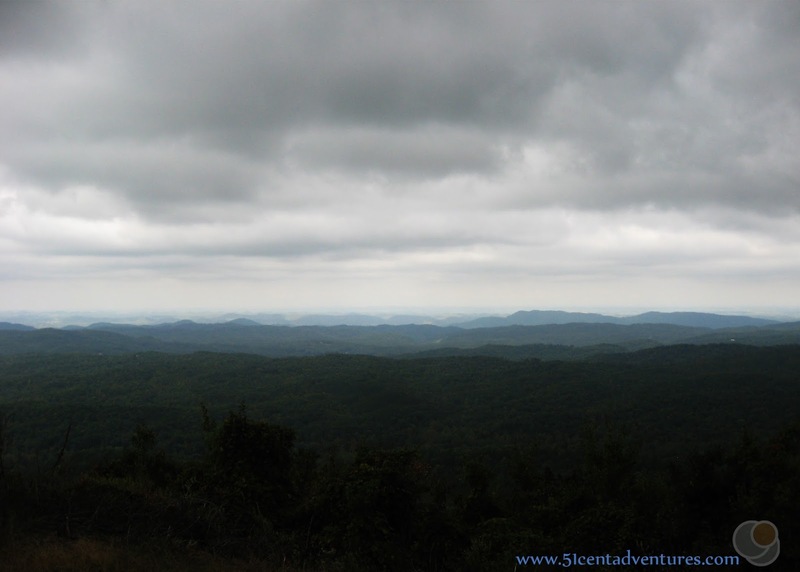 I was getting anxious to see other parts of the Appalachian Mountains so we didn't stop at any other overlooks. The Skyway ended at Robbinsville, North Carolina. After that we continued travelling northeast. 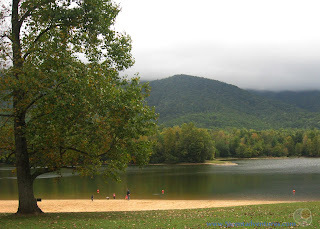 My original plan was to swing around and go back over the mountains on the highway that cut through the Great Smoky Mountain National Forest. However, I didn't want to do that and end up in the clouds again. So instead we decided to cut back through the mountains on the I-40. 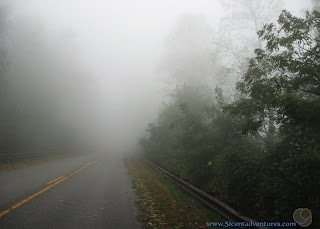 Aside from the clouds, the Cherohala Skyway had been everything my family had been hoping for. We were able to go on an adventure outside of Alabama, we saw fall leaves, and we definitely were able to experience real mountains. Recommendation: The Cherohala Skyway is a beautiful way to cross the Appalachian Mountains. 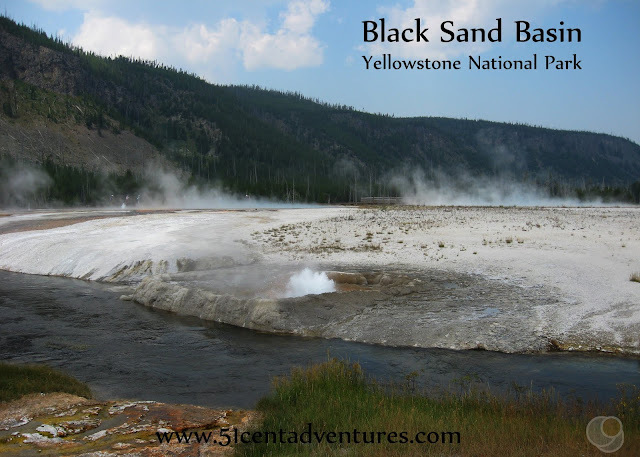 It is not as quick as an interstate would be, but it is much more scenic and intimate. 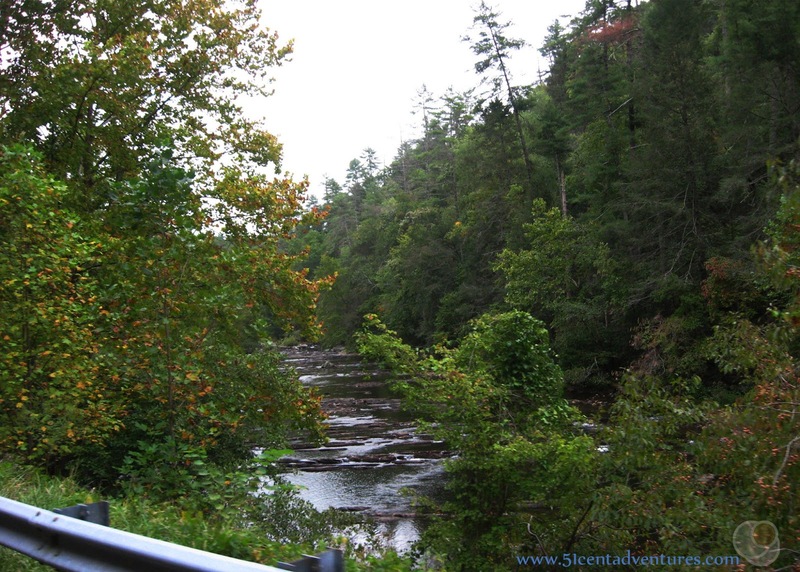 This is a great way to experience the beauty of the Appalachain Mountains. As an added note: I didn't realize this until we went to the Great Smoky Mountain National Park the next day, but the Cherohala Skyway is much less crowded than the roads in the National Park. That means the campgrounds probably don't get booked up as quickly. 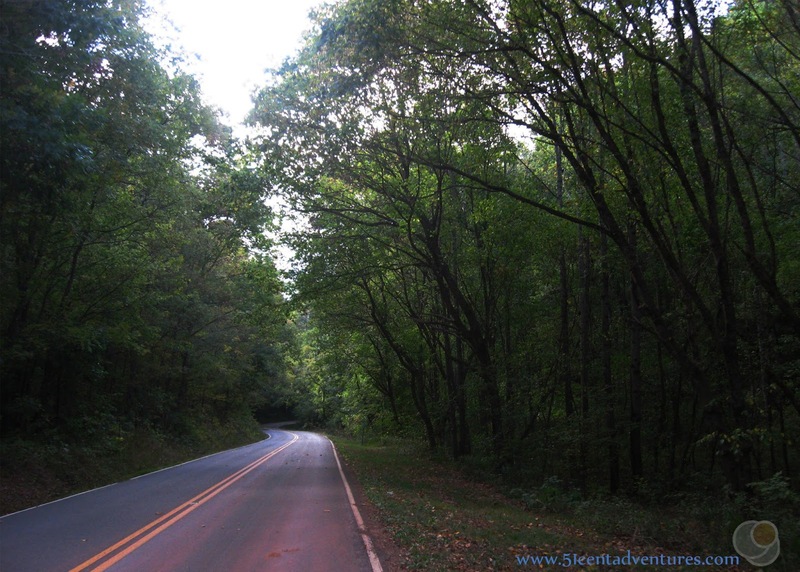 If you are planning a visit to the Appalachian Mountains in Tennessee and North Carolina, you might want to keep the Cherohala Skyway in mind as an alternative if the Great Smoky Mountains are too crowded. Directions: I assumed that the Skyway would be near the section of I-75 that runs between Chattanooga and Knoxville. But when I actually looked at our route on a map I discovered that the Skyway was a good 30 miles east of the interstate. I was also surprised to see that there wasn't really a direct route from the interstate to the Skyway. The situation is similar on the North Carolina side of the Skyway. So if you are planning to drive on the Skyway, make sure you have directions for how to get there. Don't just assume that there will be signs on the interstate. 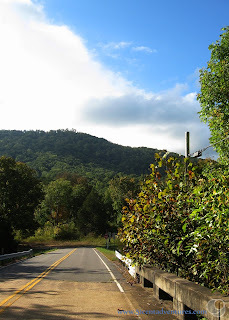 Places Nearby: There are several other roads that cross the Appalachian Mountains near the Skyway. Forest Service Road 210 separates from the Skyway 4.5 miles up the canyon from Tellico Plains. This road will take you to Bald River Falls. According to the website you can view this waterfall without even leaving your car.